Scottish Tourist Board star ratings STB. Click on PostCodes for Maps & Reviews. Turnberry Links Estate 16 miles south of Ayr at Turnberry. 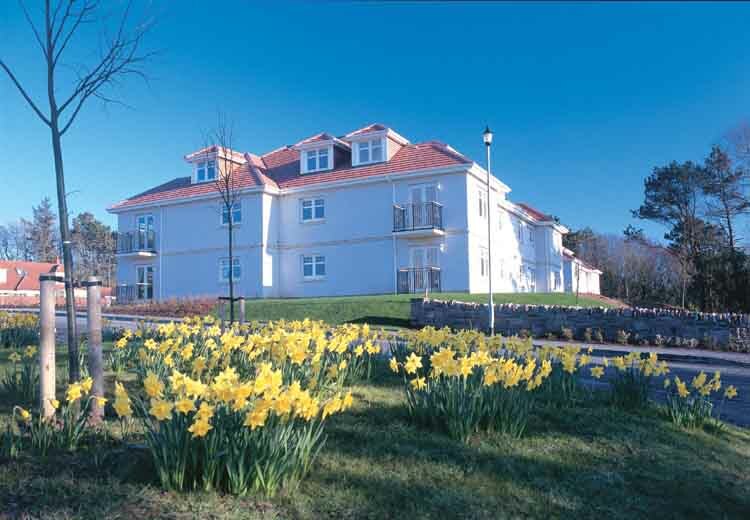 STB 4 Star luxury self contained apartments of the Turnberry Links Estate only a short walk from the world famous Turnberry Hotel and Golf Complex. For full details and prices of the apartments available for holidays. Tel: 0330 053 8770.
ar Nead Beag, Isle of Arran. ar Nead Beag - Gaelic 'Our Little Nest', is situated in the scenic Village of Lochranza on the northern tip of the Isle of Arran. A delightful cottage attached to Kincardine Lodge that sleeps 2 people. A true haven of peace and tranquility with views over Loch Ranza towards the 12th century castle and Kintyre. Tel: 01770 830 267. Blairquhan Castle situated about 14 miles southeast of Ayr. The estates castle, lodge, dower house and six cottages are available for holidays, special events and weddings. The castles full history, tour of rooms, gardens, information on shooting, fishing, weddings, corporate events and occasional guided tours can be found on the website. Tel: 01655 770 239. Cloncaird Estate, situated about 12 miles southeast of Ayr. Nine charming holiday cottages for self-catering, all newly refurbished and modernised, and available all year round. Cloncaird Castle and Cottages are set within a 140 acre estate with romantic riverside walks. Salmon fishing and shooting can be arranged on request. Tel: 01655 750 225. Hazelwood Farm, Island of Arran. Hazelwood Farm is situated at Imachar, near Pirnmill on the west coast of the Island of Arran. We are a working sheep farm with self catering accommodation available on a weekly basis. The farmhouse is over one hundred years old with an idyllic location in lovely grounds, only two minutes walk from the beach. For more information. Tel: 01770 850 222. Hillhouse, by Troon. Surrounded by golf courses, this country house has the highest standards of comfort and style. Hillhouse is a listed Georgian country house lovingly restored and refurbished, ideal for up to ten staying guests. We can organise anything you wish, with some of Ayrshire’s finest services at call, whom we work with regularly. Tel: 01292 676 400. Marina View, Ardrossan. STB 4 Star, Marina View is a modern two bed en-suite apartment overlooking Ardrossan Marina and the Island of Arran. Ideally situated for day trips along the Ayrshire coast, or to the Island of Arran. The ferry port to Arran is a short walk from the apartment. Tel: 07967 106 186. Orchard Cottage, Island of Cumbrae. Situated on the Island of Cumbrae, Orchard cottage sleeps a maximum of 4 people with fabulous views over Arran, Bute and Wee Cumbrae. Situated in a quiet location within Westbourne House grounds, a 10 minute walk from the town of Millport. There are also three 4 berth caravans available for hire which are situated within the Caravan Park at Westbourne. Tel: 01475 530 000. 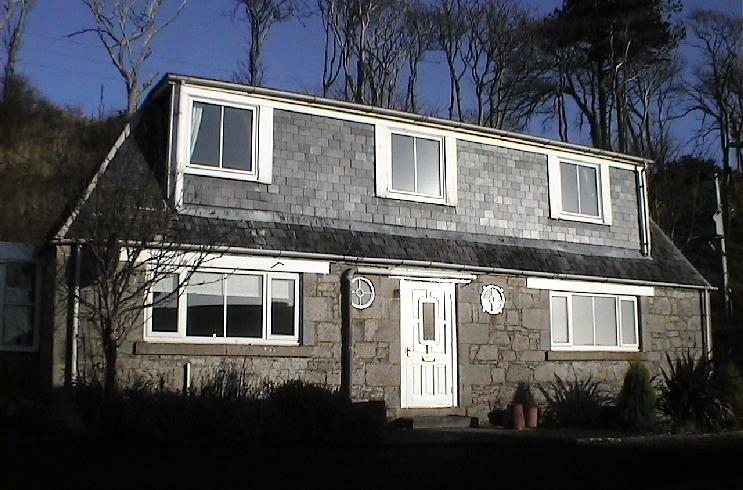 Pant Farmhouse, sleeps 8 with 4 bedrooms & 4 bathrooms. In the countryside with a private wooden hot tub in the enclosed garden, woodland walks and cycling direct from the door. Sandford , Pirnmill, Isle of Arran. A secluded seaside self catering holiday cottage situated in the village of Pirnmill only a few steps from the beach looking onto Kilbrannan Sound. Woodcroft Cottages, Ayr & Prestwick. A selection of properties in Ayr and Prestwick. All the cottages are not far from Prestwick airport. The cottages have private parking and walled private peaceful gardens. One has a conservatory overlooking the garden. Two apartments have stunning harbour views. Tel: 1292 264 383.